America just doesn't do drugs like it used to. From opiates to alcohol, American substance use has shifted drastically in recent decades. 1. Cigarette smoking has plummeted. 2. Alcohol consumption has, too. 3. Americans are drinking more wine, though. 4. 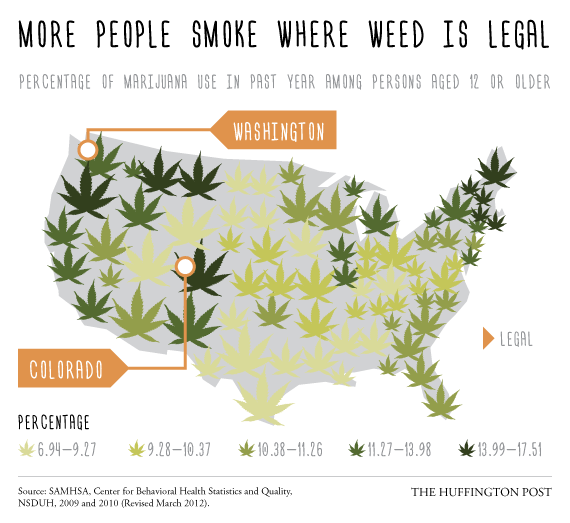 Many more people use marijuana in the Northeast and along the West Coast than in other parts of the country. 5. A big switch happened around the turn of the century: More Americans began dying from drug use than from drinking. 6. A large part of the problem has been the rise of of painkillers and heroin, especially in the Northeast. 8. The Midwest has the worst meth problem, especially in rural areas with limited job opportunities. 9. 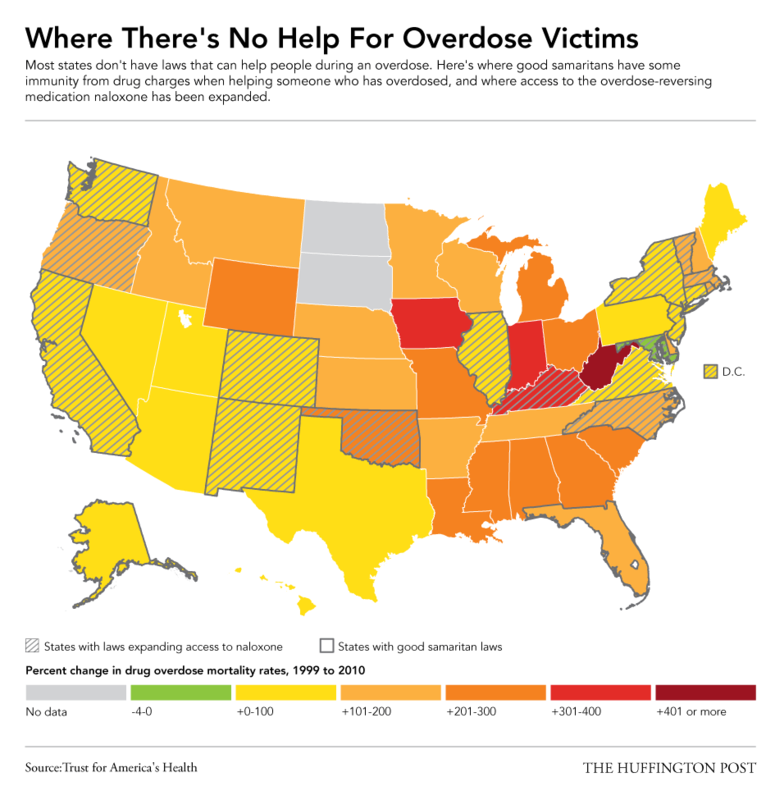 But overdose victims are more likely to die in states without "Good Samaritan" immunity laws to protect those seeking medical help for overdoses.